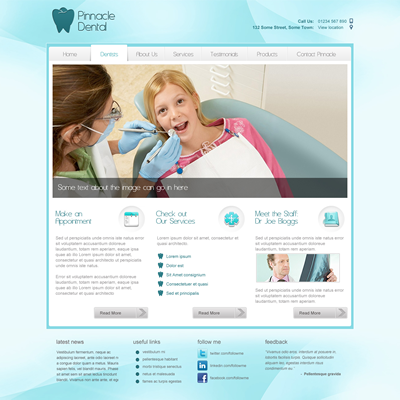 When Pinnacle Dental wanted to update their web site, they needed to find a style that was attractive, modern and friendly – just like their dentistry. 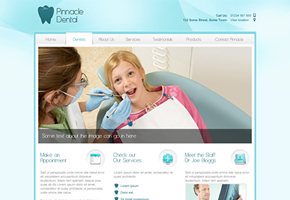 To showcase their work, they also needed a wide layout that maximised the space for images of their facilities, dental staff and the before and after images. After settling on a soothing aqua colour, the next step was creating a logo and icon suite that complimented the layout and brought it to life for users. 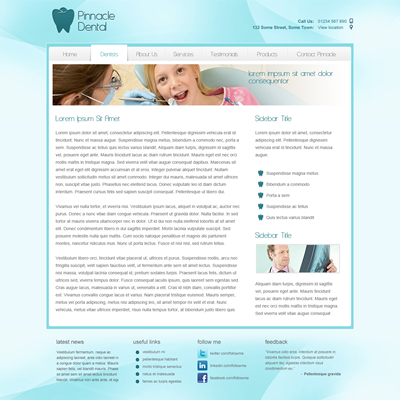 The inner page design (below) also allowed for more flexibility in the image banner and layout styling of the text and galleries. Long project with client and employer delays. Thanks for the multiple mock-ups and patience from the worker. Excellent work!